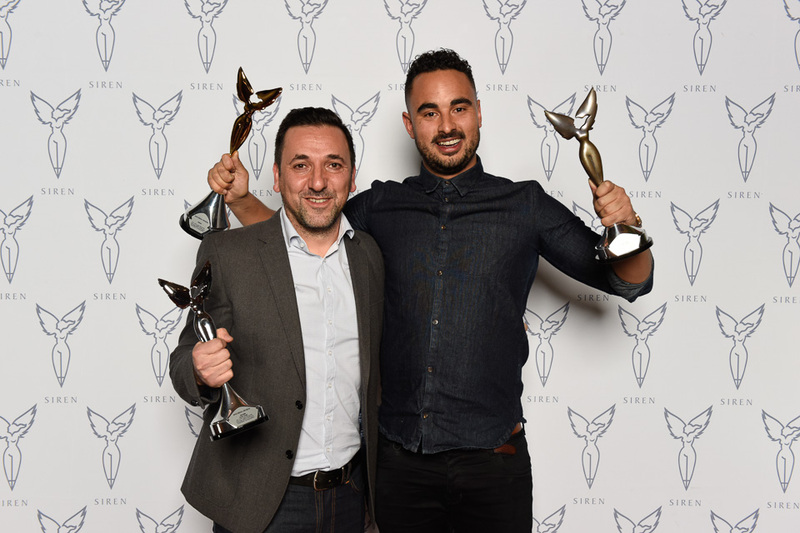 All eyes were on Ray Ali and Carlo Mazzarella from Clemenger BBDO Melbourne last night, as the pair picked up three gongs at the 2018 Siren Awards. Taking a break from its more recent host city of Melbourne, comedian Cam Knight kept the Sydney crowd light while the award winners were left to talk about the serious topics of mental health, pay increases for police officers and water safety. Clemenger BBDO Melbourne’s “Sound Booth” ad about anxiety for mental health advocacy group beyondblue won Gold and Silver at the Siren Awards, with Luke Thompson and Rohan Lancaster serving as creative directors. The agency also picked up the Client Award for the same campaign. The team from Clemenger BBDO Melbourne believe that radio offered an important piece to the puzzle when it came to the multi-platform campaign – fewer distractions. “If you can do something that connects with people and that’s a little bit disruptive, you can really capture people’s hearts. Because radio is always on,” Gold Siren co-winner Ali said. Mazzarella added: “This campaign was a bit of a tricky one, because you’re dealing with mental illness, so it’s quite a sensitive issue. It was part of a larger campaign with TV, radio and print, and I think with all three of those channels, we had to think a little bit differently. Tim Newton and Wilora Keeley from J. Walter Thompson won a Silver Siren for best radio campaign (three or more ads in a campaign) for their powerful work for the WA Police Union in support of a 1.5% pay increase for police officers. The Silver Siren in the craft category for production went to Matt Perrott from Uncanny Valley for the “NSW Water Safety” ad for the NSW Government. Now in its 14th year, the annual event held by Commercial Radio Australia is designed to encourage excellence and creativity in radio advertising, and offers Gold Siren winners automatic entry into the international Cannes Advertising Lions Festival in June, with the cost of accommodation, airfares and delegate passes covered for the creatives and their client. The awards are judged by the Siren Council, comprised of creative directors and producers from leading advertising and creative agencies and studios across Australia. The client-voted winner, determined by a separate panel, also picked up a $5,000 cash prize. Listen to the Gold Siren winning ad below.